Quarry Brae Public School (Temporary) was opened on Tuesday 6th January 1903. 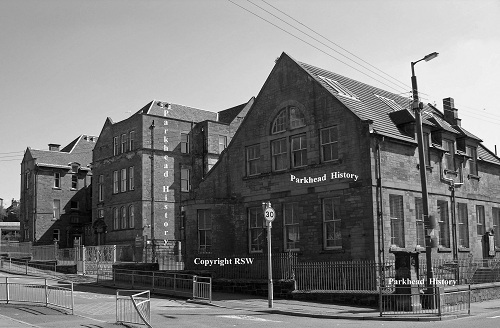 The temporary school was housed in the New Public Halls, Parkhead which were located at 1286 Duke Street. Quarry Brae Public School (Temporary) closed on Thursday 30 June 1904 at the recession for the summer holidays. The permanent Quarry Brae Public School was opened on Tuesday 16th August 1904 in Baird Street (now Crail Street) after the end of the summer vacation. The School was designed by Ninian Macwhannell and John Rogerson. The school consisted of 3 floors of classrooms located off a central hall. When originally built it overlooked Westmuir Quarry which was filled in during 1905. The formal opening of the school was held on Friday 9th September 1904. The ceremony took place in the evening at 8.00pm. The Chairman of the School Board, Mr. R. S. Allison presided. January 6, 1903 This school was opened this day (Tuesday). Mr. James Dunlop Martin, Headmaster. Miss Mary Isabella Mack, Assistant Mistress. Enrolled, 11 boys and 11 girls = 22. Friday, 23 January 1903 No. on Roll is now 66, 35 boys and 31 girls. Friday, 15 May, 1903 School was closed from Wednesday afternoon till this morning on account of the visit of the King and Queen to Glasgow. This temporary school is conducted under very great difficulties. The surroundings are somewhat dingy, the accommodation is unsatisfactory, and the material to work with is rather poor. It is hoped that the removal to the permanent school will be made as soon as possible. The infant division is making good progress in the circumstances. Simultaneous lessons answering should be reduced to a minimum and discipline generally should be firmer. In Reading, more care should be devoted to clear articulation and a greater effort ought to be made to teach the children English. Class I of the Infant Division is doing very well indeed, but slate arithmetic is not practical enough. The two higher classes of the Division are under the charge of one teacher and are taught in the same room as the Senior Class. Considering this lack of accommodation, fairly good work is being done. The oral side is on the whole satisfactory, though Reading requires more attention. The Dictation exercises of III might be considerably improved both in Penmanship and on Spelling, and the Arithmetic of the same class leaves something to be desired in point of accuracy. Here again “Simultaneous Answering” is too frequent, this habit is especially to be deprecated when so many classes are taught in one room. The highest class has made a very fair amount of steady progress. Friday, 4 December 1903 Roll is now 217. The conditions under which this school is conducted renders good work difficult; laxity of disciple renders it impossible. A decided improvement will be expected if unreduced grants are again to be recommended. Something more might be done in the lower part of the school to reduce the confusion which is inevitable when several classes in one and the same room are engaged in oral work simultaneously. This temporary school was closed this afternoon for the summer vacation. At 16 August it will be continued in the new school. James D. Martin, Headmaster, left 30th, transferred to Camlachie School. John Dunlop, Headmaster, transferred from Parkhead Public School, James Milne, Second Master, transferred from Kent Road School, Elizabeth Milne, Infant Mistress, transferred from Parkhead School and the following certificated assistants from the temporary school. Mary Isabella Mack, Lizzie M. Connor, Margaret P. Watson, Elspeth McBain, Isabella H. Dawson, John Miller and Janet R.N. Ward, certificated teacher. Friday, 26 August, 1904 The classes are gradually getting into working order but the want of apparatus and sufficient staff is hampering work somewhat. Today the scholars were kept for four hours so as to make two attendances then dismissed for the day in order to prepare for the formal opening of the school. The ceremony took place in the evening at 8 o’clock. R.S. Allison, Chairman of the School Board presided and there was a large gathering of members of the School Board, parents and friends. Friday, 28 October, 1904 Roll now 850. Monday, 22 January 1906 HM Inspector of Schools Report of Tuesday, 9 January 1906. Instruction in the infant division has been unavoidably retarded by a recent closure due to an epidemic of measles; but in the circumstances creditable progress is being made in the various subjects. With more practice in the oral reproduction of suitable fairytales the children should soon acquire a wider vocabulary and facility in expressing themselves correctly. Considering the mixed character of the classes the Junior Division is doing well. The most marked weaknesses are found in classes 1 and 5 especially in the latter. The work proceeds on very poor lines particularly in oral composition, Arithmetic and Drawing: but in Arithmetic the attention should not be confined to calculation in money. In classes 1 and 2 the poetry selected is too hard. The girls of classes 1,2, and 5 are much inferior to the boys in Arithmetic. The Senior has many excellent features and in all classes thoroughly sound work is being done. It is a noteworthy fact the girls of class 3 are superior to the boys in Arithmetic. The two Supplementary Courses continue to perform their function with credit. A Final estimate of the general results of instruction will be furnished, if necessary, at later period of the season. It is to be observed that many pupils who left school on attaining the age of 14 had previously been in regular attendance. It cannot be said that the Infant Department has advanced in proficiency: but it had reached a very high level last year, and that has been well maintained by Miss Milne and her enthusiastic and capable staff. Reading is uniformly excellent, but in Wtiting and Brushwork some inequality is observed and, on the whole, the manual side of the work leaves room for improvement. The average age of the children in the Junior Department is unusually high: in the lowest class, which left the Infant Department at Easter, about half the children are over eight, while in te highest class, about one third are over eleven. The Division as a whole is in sound condition. Here, too, the oral side of instruction is most creditable. As a rule, the pupils are responsive and intelligent, though some of the girls in 2 and 3 are somewhat dull and inert. An effort should be made to cultivate still further the equality of distinctness in Reading and Repetition, a bolder and more uniform style of Penmanship, and a neater and more delicate touch in Brushwork. Geography in its earlier stages should be taught with the help of a map or globe, and the memorising of unintelligent lists should be studiously avoided. The Senior classes which are composed of pupils, who have not passed through the lower classes of the school, contain some weak material. But the teaching is sound and the results of instruction, especially in Drawing, Dictation, Composition, and Arithmetic are extremely creditable. The pupils presented under Article 29:1 at the December examination made a good appearance: but it was impossible to accept any of those presented on the two subsequent occasions. An excellent feature of the Supplementary Course is the regular attendance of the boys, a large proportion of whom earned the Merit Certificate during the year. The criticisms made in the last report still apply to some extent. But on the whole, the work has been attended with gratifying success. Friday, 4 June 1909 The following report has been received from the Education Department Friday, 28 May 1909. The efficiency of the infant department is fully maintained. The teaching is interesting and effective throughout, special praise being due to the Reading, Brushwork and Free arm Drawing. The speech of the children, however, is too often lacking in distinctness which characterises their Reading. In the highest class the work is very advanced and of excellent quality, physical exercises in particular calling for communication. Much earnest and successful work has been accomplished in the Junior Division. The Spelling and Arithmetic of class 5 show some weaknesses; while in class 2 and 3 more drill is wasted in rapid oral calculation, and an attempt should be made at better phrasing in the Reading lesson. But in almost all other aspects these classes have made very creditable progress. Throughout the Division Arithmetic has especially advanced in intelligence and in accuracy. The lower class is in very good condition: While the highest, originally formed of children from at least three classes, has been gradually raised to a fairly uniform level of attainment. 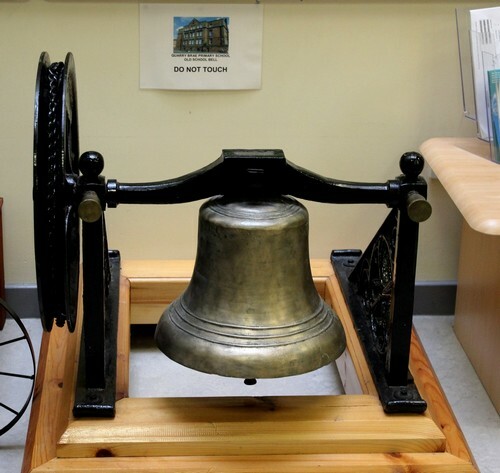 It falls to be noted that on the day of inspection there were 118 children present in the two highest classes and of these only 35 were under 10 years of age. In Senior class 5 Spelling admits of improvement, and Arithmetic is remarkably weak, but in other aspects the results of instruction are thoroughly good, and the children are alert and intelligent. Class 4 as a whole, gives evidence of faithful and vigorous teaching but here again, Arithmetic falls below the level of the other subjects, and the girls take a less active part than the boys in class work. The pupils of class 3 acquitted themselves with distinction in all of the tests applied. The written exercises of class 3 and 4 deserve praise and sound work has been done in class 2, Drawing and Brushwork deserving special commendation. The general quality of the work in class 1 is good, but Grammar requires increased attention, and written composition might more frequently assume the form of a letter. Much of the work of the higher section of the Supplementary Course is excellent, and the pupils here, with few exceptions, qualified for the award of the Merit Certificate. The boys of the lower section have a creditable knowledge of the work professed, but their records are marked by inaccurate spelling. Friday, 16 June, 1911 School closed on Tuesday for “Coronation Treat.” The infants were entertained in school in the forenoon and the older scholars were taken in Tramcars to the Scottish Historical Exhibition and entertained there for the day. Friday, 10 November 1911 A severe storm of wind and rain prevailed on Saturday and Sunday 4th and 5th. 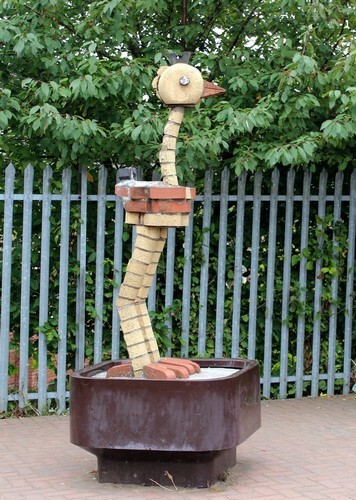 In the height of the storm, the chimney head of the private rooms on the south side of the school was carried away. 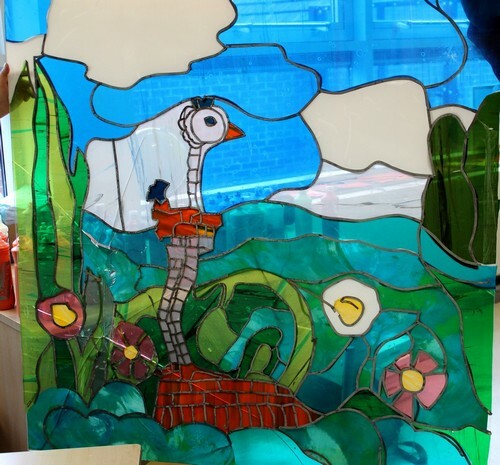 It smashed onto the roof of the number 17 classroom breaking the slates, bringing down a large part of the ceiling, and then feel on the playground. Fortunately this occurred on Sunday forenoon when no one was about. Friday, 30 August, 1918 A good many children are still on holiday with their parents and a few excluded owing to the presence of infectious diseases in their homes. Friday, 2 May 1919 A considerable amount of parents kept their children off school on account of May Day Labour Demonstration in the city. This affected between 50-60 children. Thursday, 1 April, 1920 Dr. Young attended on Monday, Wednesday, and Thursday and vaccinated all children whose parents wished it to be done. The number for the three days this week and for Saturday was 202, 61 of these were vaccinated for the first time. Thursday, 8 April, 1920 All of the children got 10 minutes to see the eclipse of the sun. Doctor was present. Thursday, 8 December 1921 Windows cleaned yesterday and today. While one of the cleaners was doing the outside of Room 16, he overbalanced somehow and fell some 20 feet or so on to the roof of the boiler house. Dr. Laird called in, pronounced the man dead, and the body was removed to the mortuary in an ambulance waggon. Friday, 20 February, 1925 Headmaster left shortly before 3pm to go to the opening of Shettleston and Tollcross new District Library. Monday, 30 January, 1933 The Advanced Division of the school was transferred to Riverside School today. The following teachers were also transferred; J.C. Smith, John C. Paul, David Adamson, Alexander G. Simpson, Leslie Duncan, William G. Kippie and Grace Robb. Tuesday, 29 August, 1939 The school reopened today instead of 1 September as intended. Owing to the very serious international situation it was considered desirable to recall the scholars in order to have them on hand for instruction and quick decision regarding evacuation from Glasgow if war should break out. Teachers and scholars attended school on Saturday 26 August in order to receive instruction regarding Evacuation Rehearsal to be held Monday 28 August. The rehearsal was held in the morning and forenoon of the 28 August. Scholars and parents were practiced in finding their Assembly Rooms and in forming into groups, and marching. Thursday, 31 August, 1939 Code Telegram was received today, Thursday asking the evacuation instruction to be put into operation. The school was dismissed. Sunday, 3 September, 1939 Scholars, pre school children and parents assembled in school at 7am and were evacuated to Strichen, Aberdeenshire. Monday, 11 September, 1939 School opened for registration of second evacuation. Monday, 3 June, 1940 Registration for evacuation continues. Monday, 12 November, 1951 School was broken into during the week-end. Entry was gained by breaking a window in the ground level. Books and documents were scattered about the floor of room 24 and pictures taken from the walls. Money was taken from teacher’s desk in room 23. No other rooms were touched but the key box was burst open and all keys removed. The matter was placed in the hands of the police who are investigating. Friday, 16 November, 1951 Most of the keys stolen were recovered during the dinner interval on 12 November 1951. Some were found in the garden into which they had been thrown, others in an open space, and the remainder in a disused wash house. No money was recovered. As a result of investigations in school and by the police, suspicions fell on 2 pupils, Charles Blair and Thomas Burns. They were summoned to the Eastern Police Station with their parents for examination and will in due course be charged with the offence. Tuesday, 18 December, 1951 Notice received that pupils Charles Blair and Thomas Burns had been charged before the Sheriff Court with breaking into the school and had been placed on probation for 2 years. Wednesday, 26 August, 1953 School reopened today. The annexe in Barlanark (Pendeen Road) for infants also opened. Miss McWilliam, Infants Mistress attended at Barlanark to enrol pupils. Over 90 pupils enrolled there. 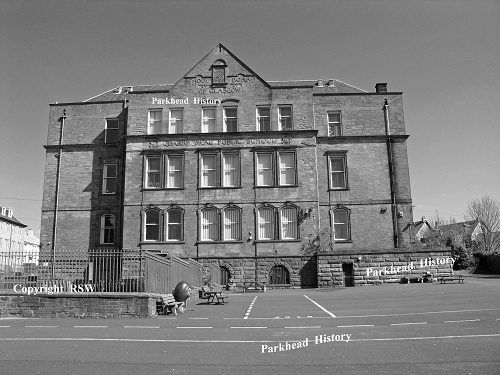 A very great number of pupils sought enrolment to Quarry Brae (over 100) but as the school was incapable of accommodating that number, about half the total were sent to Parkhead School for enrolment. Scottish Education Department Report for Wednesday 28 October and Thursday 29 October 1953. A recent influx of pupils from the new housing areas in Barlanark has created difficulties in organisation and has interfered with progress of the classes beyond the infant stages. The staff recorded below in the log books contains all staff including temporary appointments, domestic science staff, secretaries etc. Those recorded are dependant on how well the logs were maintained. From the log books it would appear that there was a high turnover of staff throughout the years recorded. The table below is sorted by year to make it easier to locate teachers at the year(s) of attendace for those who wish to check teachers names. Mack Mary Isabella 06/01/1903 25/07/1927 Morrison Marion F (MA) 14/04/1931 ? Watson Margaret P. 14/09/1903 15/08/1910 King Agnes 01/06/1931 ? McBain Elizabeth 07/12/1903 17/11/1905 Logan Susan 17/08/1931 ? Milne James 16/04/1904 02/06/1928 Hendry Annie G. (MA) 08/02/1932 ? Milne Elizabeth 16/08/1904 31/03/1931 Robb Lucy (MA) 19/08/1932 ? Newton Annie M. 02/09/1904 30/06/1947 Stirling Margaret B.B. (MA) 10/01/1933 ? Reid Jane 02/09/1904 31/08/1908 Mckenzie James 01/02/1933 ? McLarty Annie C. 04/09/1904 31/01/1905 Hutton Rachel S. (MA) 17/05/1933 ? McAllan Barbara P. N. 03/10/1904 ? Dougall Adam 01/09/1933 ? Swan Jean C.L. 21/08/1905 03/09/1945 McLean Catherine D. 27/08/1934 ? Gill Jessie M. 03/09/1906 20/08/1907 Holmes Margaret L. 19/08/1935 ? McKinnell Annie 08/10/1906 30/06/1953 Hutchenson Duncan B (MA) 01/09/1936 ? McLennan Kenneth M. 08/10/1906 31/10/1907 Nolan Andrew 01/09/1936 ? Souter Rachel D. 10/12/1906 01/05/1948 Ford Arthur H. 21/07/1937 ? Kennedy David (M.A.) 30/08/1909 17/03/1916 McLean Jean B. 05/11/1940 ? Millan Charles M. 30/09/1914 23/08/1915 McLean Wendy M. 01/09/1945 ? Crawford Annie K. (M.A) 17/11/1914 30/06/1958 Holburn Mary G. 18/09/1945 ? Brown Jessie M. 23/08/1916 ? Cleland Mr. 02/09/1946 ? Smith Jabina 13/02/1917 21/03/1917 Mathison Mr. 02/09/1946 ? Mckenzie Diana 20/08/1917 31/10/1918 McKinnie Dougald (MA) 08/10/1946 ? Stevens Thomas 20/08/1917 29/06/1923 Stirling Louise 27/01/1947 ? Scott Marion 09/09/1918 11/07/1923 Wheelan Alfred (MA) 05/01/1948 ? Powrie Jessie 02/10/1918 ? Boyd Janet 05/04/1948 ? Fraser Annie K. (M.A) 23/05/1919 05/01/1936 Ferguson Elizabeth 03/05/1948 ? Baxter Joseph 30/09/1919 07/09/1932 Delaney Mary 01/09/1948 ? Irvine Alex 09/10/1919 29/01/1933 McDonald Margret 01/09/1948 ? Rowan Clarinda N. 16/11/1920 28/04/1922 Harkness Joan 02/09/1948 ? Laverick Edward 25/08/1924 11/09/1924 Anderson Joseph 26/08/1953 ? Cowie Alex 15/09/1924 Did not start Hewitt Catherine (MA) 26/08/1953 ? McDonald Alex 18/09/1924 26/01/1925 MacNamara Bridget 26/08/1953 ? Murdoch Janet S. 02/03/1925 29/03/1925 Jackson Annie 31/08/1953 ? Wilkie Charlotte C 30/03/1925 07/09/1925 Aitken Emily 07/09/1953 ? Keppie George 19/08/1925 29/01/1933 MacDonald Peggy 25/09/1953 ? Pringle Margaret 08/09/1925 01/09/1940 Pratt Ronald (MA) 12/10/1953 ? Smith Thomas C (MA) 16/11/1925 29/01/1933 Irvine Margaret 16/11/1953 ? Adamson David (M.A.) 14/03/1927 29/01/1933 Aitken Annie 25/01/1954 ? Menzies Grace 22/08/1927 27/08/1928 Laird Elizabeth 28/01/1954 ? prentice Jeanie F.B. 22/08/1927 04/09/1933 Anderson Catherine P. 25/08/1954 ? Bell Mary 22/09/1927 ? Macann Christina 04/10/1954 ? McVean John M.G. 03/10/1927 06/12/1927 Chisholm Donald 20/12/1954 ? Allison Robert 06/12/1927 23/12/1927 Johnston Robert E. 14/02/1955 ? McInnes Letitia 27/08/1928 08/05/1944 Scott Marion 03/10/1955 ? Robertson Annie 19/04/1929 12/05/1929 Grigor Jean 28/08/1957 ? Young Charles K. (B Sc) 15/10/1929 29/01/1930 Pickering Janet M.C. 28/08/1957 ? McLaren Margaret 30/01/1930 04/02/1930 Hamilton James 27/01/1958 ? MacKay Alasdair G.D. 06/10/1930 29/01/1933 Hamilton Maribel (LRAM) ? ? Gray George E. 20/10/1930 ? Murray Eunice H. ? ? I attended Quarrybrae from July 1942 till may 1949. Our headmaster was the dreaded “clock man” Mr Ross. The basement was used as a bomdshelter.we sat there with our gasmasks on. So sad to see it is no longer there. I attended Quarrybrae in P7 in 1982, leaving in June. I remember the cakes we’d buy in Westmuir street! I also remember that once a week the truck would drive by heading to the local abbatoir, and the whole neighborhood would stink, it smelled like sick! It was my mum that gave you the cakes. The shop was Greens the bakers. I was at this school and attended in P1 in 1977, left after then and moved down to England. Came back in 1982 where I went into P7. My cousins also attended there. Edwina Reilly was the same age as me, her siblings Athena, Daniel, George and Anna also attended there, they lived in Beattock Street just across the road, I lived in Quarryknowe Street. Anyone remember the penny bags that were filled with broken cakes you could by from the bakers on Westmuir Street? I can only really remember a couple of people from the school, 1 guy was the best at keepy-uppy, quite a tall boy and the other guy has his birthday the day after mine. My dob is 17/02/72 and his is/was 18/02/1972. ive forgot his name but remember him from his fair curly hair like Leo Sayers lol, his first name was Justin…any takers? I used to get a penny bag and ask for gingerbread edges ,,my favourite ..
My mum worked there. Happy days. Quite interesting but I’m dissappointed that you chose to cut things off at 1959! I attended between !965 and 1969 before my familly moved to Springboig, I remember my last teacher here being a lovely redheaded lady named Mrs or Miss Finnegan. I lived across the road from the school in the only close still standing. My maiden name was Nicol and I was in the same class as an Ian McLean. I also remember Miss Finnigan,with red hair, and I remember we used to sing the song “there was an old man named Michael Finnigan” (behind her back). I was friends with Karen Anderson, Ann Graham and Catherine McKinlay.